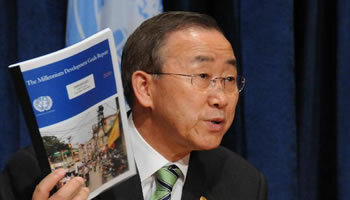 As this is being written, the United Nations Millennium Development Goals Summit is taking place in New York. This global gathering will include the heads of government and representatives of developed states, many of whom will reaffirm their countries’ commitment to the Millennium Development Goals which aim to sharply reduce poverty, increase global equality and provide greater protection for the environment. Despite the fact that the Caribbean is well represented at this global forum, and that some Caribbean leaders are even scheduled to speak at the event, there’s a cold hard truth that Caribbean people at home and abroad must not forget: As long as our Caribbean sun stays hot, our waters stay blue and our beaches remain a pristinely beautiful getaway for western tourists, none of the big players on the international stage have any real incentive to do much to serve the well-being of Caribbean people. The fact remains that there are persistent and fundamental flaws in the United Nations system which make it so that the fanciful speeches, proclamations, pledges and declarations that will no doubt come out of this global gathering, will not have the benefit of legal enforceability. Though these pronouncements will garner celebratory media attention and self-congratulatory back=patting among developed states, there is no court or official structures that we can go to to force these states to honour these or any of their other anti-poverty and pro-development pledges. This is an important fact that explains why we have heard so many well-meaning, sweetly-sounding statements come out of the UN, but have seen very little progress in the amelioration of conditions in the developing world, especially in the Caribbean. So how do Caribbean people make these international forums really work for us? How do we get the governments of the developed world to fully live up to the promises they’ve made to helping our Caribbean states (as developing countries) alleviate poverty by increasing the health, wealth and well-being of our people? My suggestion is that Caribbean Diaspora people facilitate greater connections with our people at home so that the Caribbean Diaspora can engage in organized, active and effective diaspora diplomacy. So what is diaspora diplomacy? Generally speaking, diaspora diplomacy in the case of the Caribbean would entail Caribbean diaspora populations in the US, UK and Canada officially coming together in their respective countries and lobbying their governments on issues that affect Caribbean development. The aim of this would be to make these developed states engage in policies and practices that are more favourable to Caribbean countries. Now skeptics may ask: “why in the world would the US, UK or Canadian government listen to us?”. The answer is, unlike when we first arrived in these countries en mass, a significant number of us are now citizens of these states and/or have the power to vote. Though we form numerous communities in varied places in the US, UK and Canada, we are still relatively concentrated in these communities (think New York, Miami, Toronto, Montreal, London and Birmingham).Thus, with the appropriate initiative, will and vision, we can form effective voting blocs which politicians in our areas would be greatly inclined to pay attention to if they’re interested in being re-elected. Whether it be fairer terms of trade, debt cancellation, disaster relief or more technology transfers for the purpose of building green economies, the Caribbean Diaspora, if strategic and properly organized, could demand that their diaspora governments provide Caribbean states with this support. Diaspora diplomacy, then, would mean collectively making it known that Caribbean Diaspora people will not vote for representatives who do not demonstrate a serious interest in the advancement of the Caribbean. Before we can evolve to the position of forming these voting blocs and engage in diaspora diplomacy, there are four crucial things that the Caribbean Diaspora must first do, lest our efforts come to naught: 1) Overcome the ‘immigrant mentality’; 2) Organize under a ‘One Caribbean’ banner; 3) Start taking a greater and interest in finding out how US, UK and Canadian government policies and positions are affecting the Caribbean and; 4) Engage in more active and permanent forms of communication with Caribbean people still living in the region. 1. Overcoming the “immigrant mentality”. When Caribbean people first arrived en mass in the US, UK and Canada during the 40s, 50s and 60s, we faced the insecurity of being Black immigrants in times when racism and anti-immigrant sentiments brewed much more blatantly and violently than we are used to seeing today. Thus, we did not only fear having to face mental, emotional and physical abuse (from other immigrants and non-immigrants alike), but also had the fear of possibly being sent back to the islands if we made too much of a fuss or drew too much attention to our hardships. This ultimately led the people of the Caribbean Diaspora to develop a habit of silent suffering and teaching future generations to just take things as they are (as unjust as they may be at times), and avoid “troubling” the government to make changes that would better our lives in these new places. Added to this, we were taught and often believed that we had arrived to the promise land and so would be fools to do anything that might somehow get us deported. Thus, we started a practice of vilifying any one of our diaspora members who pushed too hard for change, dismissing and decrying them as “trouble-makers” and “radicals”. But today, things are very different. Open racism is no longer acceptable and is condemned in our diaspora countries. Moreover, we are certainly not the “immigrants” we once were. Now we have children, grand-children and even great grand-children who are full citizens with full rights of public participation and equal voting power. Collectively, however, the Caribbean Diaspora is yet to mentally mature into embracing this reality. We remain hesitant and timid when it comes to making forceful and pointed demands of our governments and become overly deferential and uncritical (often to the point of appearing ridiculous) when a politician attends one of our community events. At the heart of this is a lingering fear that the immigrant mentality brings. Today, the immigrant mentality fear is most present in the sentiments that we should not openly and forcefully criticize or make demands of our politicians because, “they will cut our funding…”. We need to crush this spirit and mentality of dependence, especially where it interferes with our aims to help our home-countries. We are no longer simply, “tolerated immigrants”, we are now woven into the fabric of our diaspora countries. As such, I encourage Caribbean Diaspora people to rise up wherever we are, take our place as equal citizens and demand that our diaspora governments adopt foreign policy that is more advantageous to Caribbean countries. Now that we’re citizens (most of us), if we make too much noise, there’s no place they can send us. We’re already home! 2. Organizing under the banner of “One Caribbean”. A dying generation of Caribbean Diaspora people think that it is still best that we continue to organize and mobilize exclusively under our national identities. As the logic goes, by way of example, only once Jamaicans have successfully helped Jamaica, can Jamaicans meaningfully partner with Haitians, Trinidadians, St. Lucians, etc. in aid of their respective countries. This mental filth still clutters the minds of Caribbean Diaspora people who are yet to mentally emancipate past these slave and colonial mentalities. We should not subscribe to the thinking that says “if Europe is doing it, it must be good and right”. However, if the counties of Europe can wake up to the fact that their individual positions on the world stage are greatly imperilled unless they form a strong partnership (the European Union), the Caribbean Diaspora must also realize that Caribbean people organizing solely along national lines will only amount to us perpetuating problems, where by the year 2020, we will all agree that it would have been better for our islands to have sunk to the bottom of the sea. In the eyes of world powers, individual Caribbean states hold little more than tiny markets, a few bananas and some pretty beaches. In all other regards, as individual states, we are irrelevant to them. Together, however, the Caribbean represents a sizeable market for foreign goods, and also controls a very important and quite massive area of air and water which the US, UK and Canada need for easy access to major emerging markets in Latin America. In other words, successful diaspora diplomacy necessitates Caribbean Diaspora people from big islands to small islands and French islands to English islands, coming together as one and advocating as a single unit in order to get our diaspora governments in the US. UK and Canada to better serve the interests of Caribbean states, individually and collectively. Caribbean Diaspora people are woefully ignorant when it comes to having knowledge concerning what the foreign policies, programs and initiatives their US, UK and Canadian governments have on-going in the Caribbean. For diaspora diplomacy to work, we must inform ourselves about what our diaspora countries are doing in the Caribbean and how their foreign policies are directly or indirectly hindering the development of Caribbean states. We must take much more of an interest in learning about this so that diaspora diplomacy can be founded and guided by more than blind presumptions, speculation and incomplete information. There is no way the Caribbean Diaspora will be taken seriously in its acts of diaspora diplomacy if it has not first taken the time to learn and know what is already in place on the ground. Finally, diaspora diplomacy cannot and should not happen where Caribbean Diaspora people are not hearing directly and frequently from Caribbean people still living in our respective states. The Caribbean Diaspora risks becoming a paternalistic and quasi-colonial power if it is not committed to forcefully and collectively advocating for what we are told and gather from Caribbean people are their most pressing and important needs. Through permanent and frequent communication with our people back home, we can learn about what is really going on and be most responsibly and relevantly engaged in diaspora diplomacy in the interest of our Caribbean states. 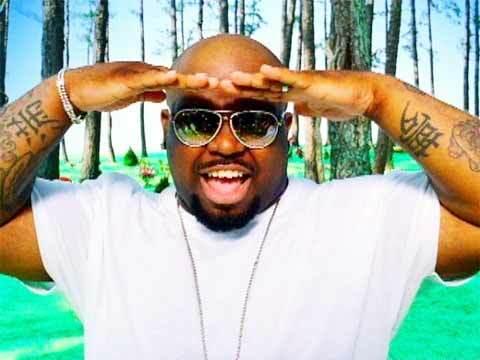 Cee-Lo Green of Gnarls Barkley, brought us the mega hit “Crazy” and he has done it again on a solo project. Watch and listen as Cee-Lo Green cover’s the Band of Horses’ “No One’s Gonna Love You”. This single is off his forthcoming album “Cee-Lo Green Is the Lady Killer”, out August 9. I think he did a stellar job and I’m in serious like with the video; from the plot, the way it was shot and the song. It was all very well done. I’m so excited for his album and can’t wait for it to drop. Leave your comment below, we want to know what you think. Un-Thinkable is easily my favourite single on Alicia Keys’ current album the Element of Freedom. The video is now live! Chad Michael Murray of One Tree Hill co-stars in the flash back video with a racially charged theme. For the past 10 years, Paul Carrick Brunson has played matchmaker and relationship coach to various friends and family members. After numerous successes in helping those close to him find happy and long lasting relationships, he decided to turn his hobby into a full-fledged business. Paul’s unparalleled ability for successful matchmaking and coaching comes from really knowing and understanding his clients and their needs. Like his clients, he is cultured, well traveled, well educated and trained – he holds a graduate degree from a top business school and is a certified life coach. His professional career started as an investment banker and most recently included a senior position with a top international investment firm. He is also a philanthropist who co-founded and chairs a foundation called The L10 Project – an organization that leads school rebuilding and revitalization projects in the U.S. and Caribbean. Paul believes that happy relationships are the foundation of a well functioning society and has a personal desire to reverse some of the dismal marriage statistics among several communities. Unlike many other relationship coaches and matchmakers who are single, Paul has been happily married to his beautiful wife for eight years. Not only does his knowledge of what it takes to have a happy marriage influence his match making, but he is also able to leverage his professional network to enhance the matches of his clients. Paul can be booked for speaking engagements on dating, matchmaking and relationships. Check out the first episode of The Modern Day Matchmaker below. A periodic vlog about relationships, singles, and dating. In this episode, Paul cover’s the top reasons why men don’t call women back after the first date. 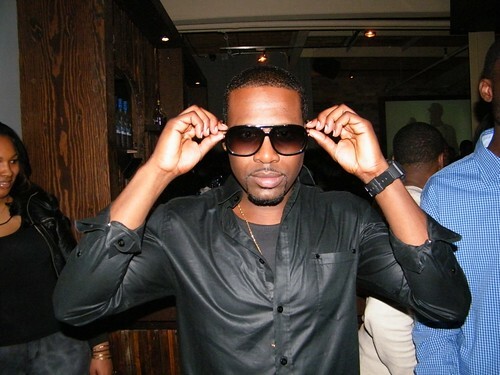 The up and coming R&B artist Show Stephens has released his new video “So Amazing”. The Toronto native has since delivered the video in its entirety. Get Rite Music Group filmed and produced this video last month independently in Toronto. It was directed by William Barber who also directed Luu Breeze’s video “Stick Up For Love”. Check out Show Stephens and his “So Amazing” video featuring the beautiful Nikkie Santoro. Drake has released the official video for his latest single “Find Your Love Music”. Check out the extended, unedited version of the music video for “Find Your Love”, produced by Kanye West. The video is directed by the talented Anthony Mandler and was filmed in Kingston, Jamaica. “Find Your Love” also stars dancehall artist Movado and it is from Drake’s heavily anticipated debut album Thank Me Later, which will be released on June 15, 2010. Leave a comment below and let us know what you think of his video. K’naan’s “Wavin’ Flag” has become an international sensation and it has also been selected as the official song for FIFA World Cup 2010. But, the track’s reach doesn’t stop there as it has become an anthem for Canadian artists to bring hope to Haiti. The revised track contains 50+ Canadian artists including K’naan, Nikki Yanofsky, Justin Bieber, Drake, Emily Haines, Jully Black, Sam Roberts, Kathleen Edwards, Nelly Furtado, Kardinal Official, Fefe Dobson, Avril Lavigne and many others. Download the song and video for a cause. 100% proceeds go to Haiti Relief and is split between Free the Children, World Vision, and War Child charities.